Discover Tulum and either Xcaret or Xel-Há on a day trip with your own private guide. 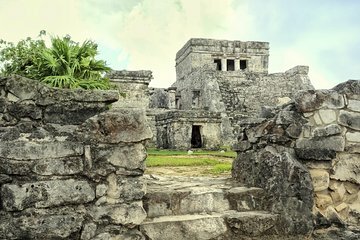 Get a morning start from Playa del Carmen for early access to Tulum, where you'll learn the history of this impressive Mayan site while touring the grounds at your leisure—and without the afternoon crowds. After lunch choose from two options: Snorkel with schools of tropical fish at Xel-Há, bicycle through bird-studded rainforest and go tubing along creeks; or visit underground sites where ancient Maya rituals took place and swim along sea turtles in Xcaret.